There was so much to love about dinner tonight; free-range grilled chicken with rosemary and slices of lemon, Purple potatoes, baby fennel, colorful carrots, even baby artichokes simmered in vegetable broth, then grilled to perfection. But who gets all the attention? That’s right, the pesto. There were even artichokes in the pesto, but like the unpopular friend who latches on to the cool kid in school, it was barely noticed. Mara confessed after dessert and the end of our movie, that she was upset. Upset with pesto. “Pesto has an unfair advantage”, she said, “it’s got it all”. The perfect combination of tantilizing tastes, basil (the king of herbs), garlic, lemon, olive oil, expensive pine nuts, and parmesano-reggiano (the king of cheese), this kid has got it all. The other food in the dish hardly held a candle to the sauce in the corner of the plate. I had to admit it was a little unfair. I mean here we had made a special trip to get all the special baby vegetables from the farm cooler (forgot to bring it home after market), the chicken was quite expensive, yet the pesto, made a few weeks ago, late at night as an afterthought to use up some extra wilting basil, needed only to be pulled from the freezer, lumped into a bowl and allowed to melt. Talk about being born with a silver spoon. This trustfunder never had to work a day in its life. The basil plants from which it came have loafed through the season falling prey to any member of the wrong crowd who breezed by, from beetles to grassy weeds. And yet, it shines. There was always that cool kid in class that got all the attention, never did a damn thing, but got all the grades, girls (or boys) and teacher accolades. Pesto is that valedictorian, and my poor little baby vegetables, the quiet workers who never got noticed. Even as I ate dinner, I thought, “I could use a little more pesto.” This is a call to action. We all know the score. 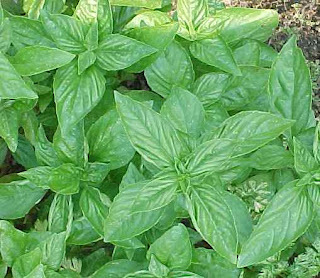 Pesto has sat on top for centuries. Mara has vowed to dethrone the king. Can the humble mojo, a Spanish knock-off made with blended toasted almonds, roasted red peppers, olive oil, garlic and salt, take down the verdant star? Can a Vietnamese ginger-lemongrass-cilantro-chile paste gain attention in the shadow of the de facto paragon of flavor? Perhaps an olive tapanade can claw its way from the back of the class to gain recognition for its hard work all these years? So many more sauces should have the attention that this simple green mash receives. I could hear the cries of the fennel, the wails of the carrots. They had grown so long in the ground (75 days! ), and yet were second string in the presence of this popular simple sauce made with easy-to-grow basil (55 days!). Mara and I know the sting of being the quiet ones in class, of being overlooked, helping the valedictorians with their physics homework, only to be left sitting in the back clapping with stupid grins on our faces during the graduation speech. Well, no more! The time has come to overturn the slacker kings. We will henceforth be searching for that diamond in the rough, the replacement for the king of sauces. And, we will also be making a lot of pesto to freeze for the winter. Huzzah!